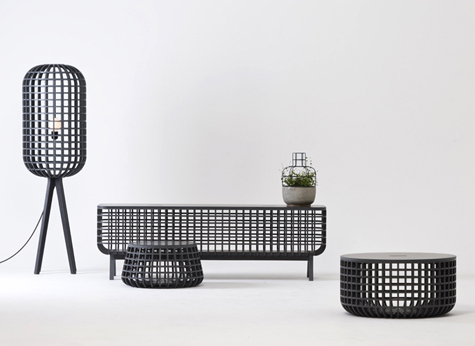 Dami by Seung Yong Song exemplifies a "framework" trend I saw at ICFF in May. Designers are designing around the idea, or the indication, of a form - often giving the object a visual weight without physical density. It can be executed very poorly, or in this case, excellently! Dami is named from the Korean verb means ‘put in’.